DieselCar Magazine is pleased to reveal the winners of its annual Car of the Year awards, and it’s no exaggeration that the competition has been tougher than ever before. Our team of writers has tested more than 200 new vehicles over the past 12 months, voting on each one of them, across ten different categories. The panel of well-respected writers and judges shortlisted just 28 finalists, before declaring ten category winners, with an overall winner. 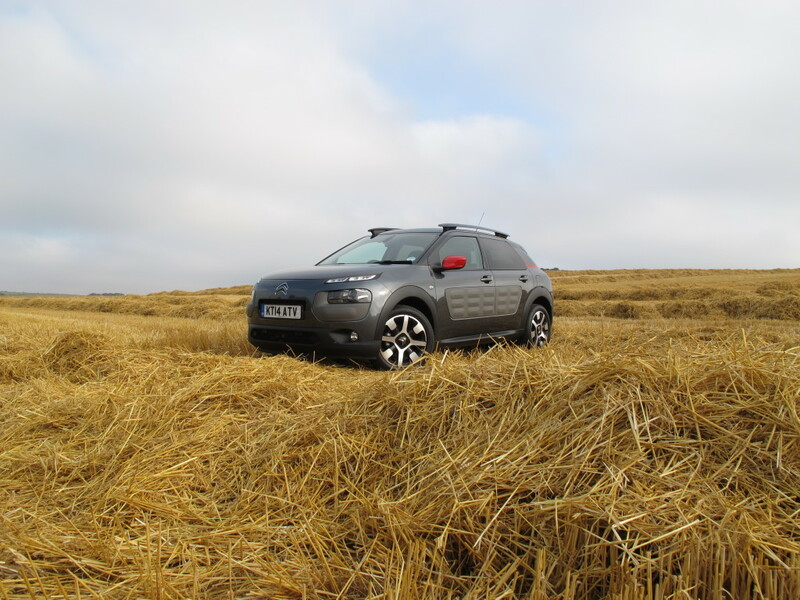 Citroën C4 Cactus wins the title of DieselCar, Car of the Year 2015. Jaguar XE is named best large car. Audi TT is awarded the title of best sports car. Volvo XC90 wins the award for best 4×4. Tesla Model S grabs the accolade as best EcoCar. Citroën Grand C4 Picasso wins the best MPV award for the second year running. Ford Focus steals the title of best medium car. Ford’s Fiesta is the best small car for the sixth time. Citroën’s C4 Cactus is honoured as best crossover. Mercedes-Benz S-Class secures the award of best executive car for the second time. The Skoda Octavia Estate retains the title of favourite estate car. In announcing this year’s results, Editor and Publisher Ian Robertson said “It’s been a bumper year for newcomers, all displaying a significant amount of talent. This year’s finalists have provoked more discussion and debate than ever before”. He added “I am really proud to be able to announce that the Citroën C4 Cactus wins the title of DieselCar Magazine’s Car of the Year 2015, declaring that it’s the perfect car for the times. It’s affordable, practical and incredibly comfortable, all wrapped up with a striking design that can be highly personalised”. The Tesla Model S grabs the title of best EcoCar in the magazine’s brand new supplement, beating the Mitsubishi Outlander PHEV, while the Skoda Octavia Estate is named our favourite estate car for the second year running. The same is true for the Mercedes-Benz S-Class, which retains the title for another year as best executive car. Other results include Volvo’s all-new XC90 securing the title of best 4×4, and one of the newest cars onto the market, the Jaguar XE, grabs the gong for best large car. Audi’s TT is named as DieselCar’s favourite sports car, and the Citroën Grand C4 Picasso wins the award for being best MPV for another year. Of course that’s not the only award for the French car maker, with the C4 Cactus named as the best crossover – one of the most hotly contested categories in this year’s awards. There’s a good result for Ford, with the Fiesta picking up an award for being our favourite small car – the sixth time that has happened in the last seven years – and the Focus stealing the title of best medium car away from the Volkswagen Golf. 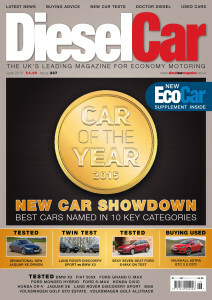 The Car of the Year 2015 awards issue goes on sale in newsagents on Thursday 14th May 2015.